What Type Of Fish Is Best ? When you have or install a new water garden or water feature in your Maryland yard, interacting with the fish in your water feature is one of the most important factors to getting the most enjoyment out of your water feature. 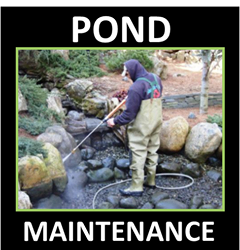 Fish provide a personal interaction for anyone who looks at your pond or water garden. Watching them glide gracefully back and forth in your pond relaxes even the most stressed out personalities. Keeping fish for enjoyment has been a human obsession for hundreds of years. In the last century, the hobby of fish-keeping has become a major industry. This is partly due to the fact that keeping fish is relatively simple. 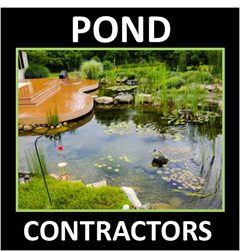 Now combine that with the peacefulness and tranquility that fish-watching brings, and you’ll understand its appeal, and why they're called "The Jewels Of The Water Garden" Our Maryland (MD) Contractor members should be able to help with all your pond fish needs. Getting Over The "Fish Fear"
Koi & Pond Fish keeping is often misunderstood and misconstrued as a high-maintenance, headache inducing hobby that turns out to be more work than anyone ever imagined. Having to maintain proper water temperatures, water volumes, and chemical levels are some common misconceptions attributed to keeping fish. Our Maryland (MD) contractor's experiences in the field has proven the exact opposite. Koi-keeping can be close to maintenance free. Not only are fish extremely easy to care for, but they bring excitement to any water feature, and play an essential role in the ecosystem as well. We've found that customers who have the most “fish fear” are the ones who end up loving their fish the most. Observing the different personalities of your fish as they interact among each other is a common pleasure among koi-keepers. This, along with the vast array of colors that your fish display, often leads customers to naming their pets. Are there other fish, besides koi, that make great pond-living pets? There most certainly are! That same goldfish that stares at you from the glass at the fish store is a perfect fit for your pond. Goldfish are incredibly resilient and can be a great starter fish for a new pond owner. 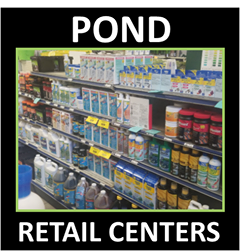 Best of all, they come in all shapes, sizes, and colors and if you have a container water garden or preformed pond, they’re a great fit! Another fish that is sure to find its way into your heart resembles the koi, but is much smaller. It’s called a shubunkin and it’s a kind of single-tailed, long-bodied goldfish that differs from the koi in the fact that it doesn’t have “barbells,” which are whiskers of sorts that are used to root through gravel.